Balmain will launch Balmain Homme, a new woody oriental fragrance for men, next month. The bottle design was inspired by the Balmain military jacket. Balmain Homme was developed by perfumer Olivier Pescheux. The notes include saffron, nutmeg, leather, violet leaf, cedar, tonka bean and moss. 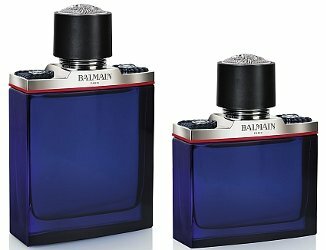 Balmain Homme will be available in 60 and 100 ml Eau de Toilette.